Your Son’s Not Less-Than. He’s Different. And that is, of course, the point. As autism and other deficits in children and adults increase exponentially, evidence point to the culprits being vaccines, herbicides, EMF/WiFi and the heavy metals sprayed through chemtrails (more toxins are examined in the Atlantic article below.) But our insidious social engineers are idealizing these tragedies; changing the narrative from “poisoning” to “special-ness,” and making the issue a matter of “political correctness.” As outrageous as that sounds, the public is buying it hook line and sinker. 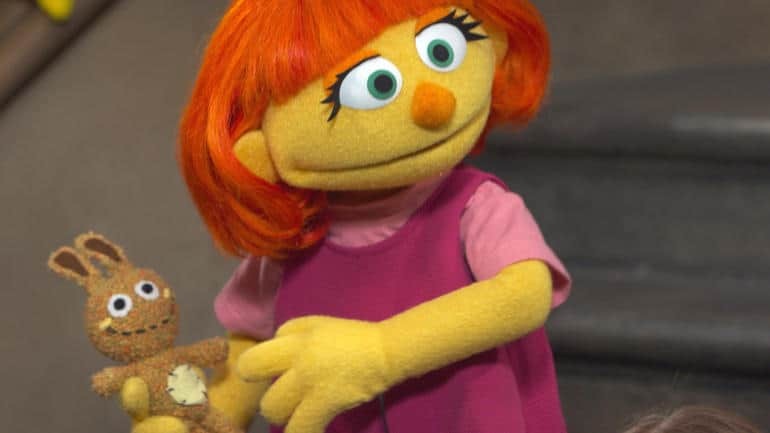 Sesame Street will air the special episode “Meet Julia” Monday, April 10 on HBO and PBS KIDS. (CBS Correspondent) Lesley Stahl: The chances of a little kid two, three, four years old having some kind of a relationship with another kid with autism is pretty high. 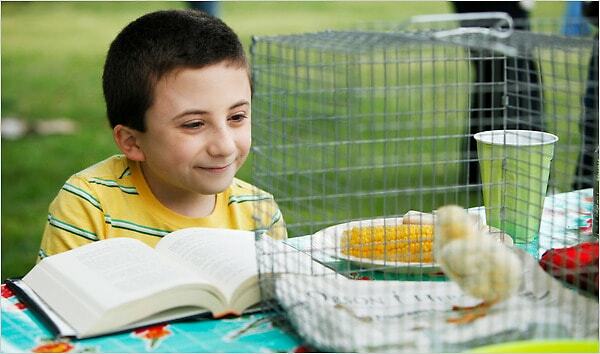 Brick has never been diagnosed with anything specific but his social skills are unmistakably in the Autism Spectrum. 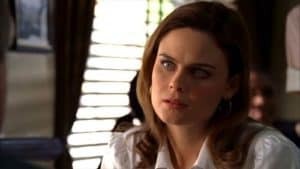 Brennan’s lack of interest in social conventions, inability to detect humor or sarcasm, as well as her awkward affection for her friends are all in keeping with the way a woman in the Asperger’s spectrum with her intellect would appear. Max is well researched and the most meticulously written character with Asperger’s on TV. 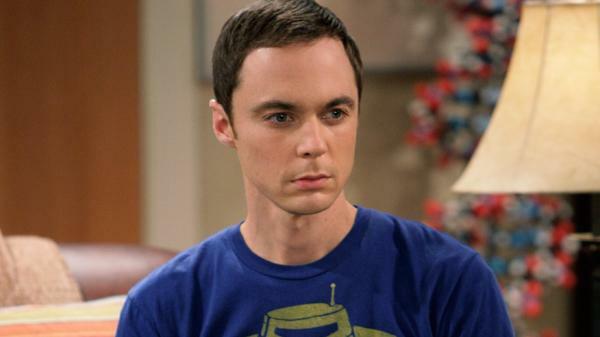 Dr. Sheldon Cooper, with over-the-top lack of social skills, problems with sarcasm, vanity, and rigidity, is likely a cruel parody of people with Asperger’s. 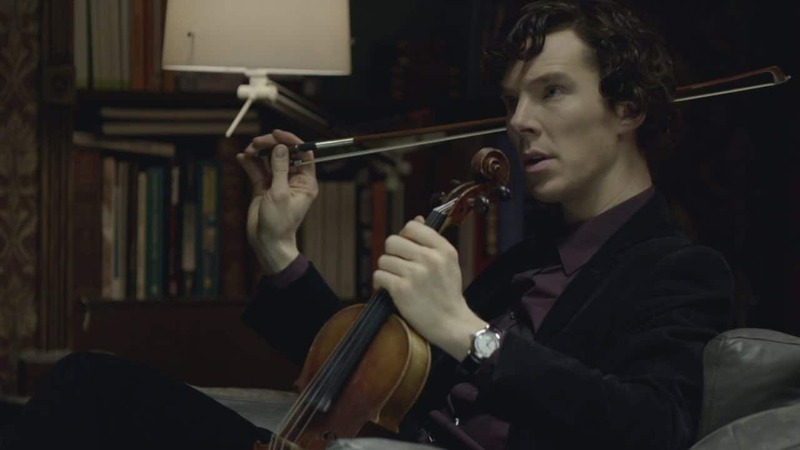 Sherlock certainly has the intelligence, focus, and social issues of a man in the spectrum although movements are off. 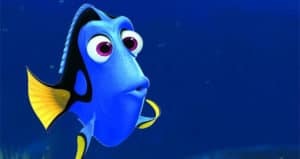 Or how about Dorie and her aDorieable short-term memory loss? You can find more at Flavorwire where I pulled most of these from. (The link is at the bottom of the page) I’m sure you can easily add some of your own as well. So why is so much money being poured into normalizing autism? To be sure, those with a family member affected by autism may feel a certain comfort in seeing their plight depicted on TV and in movies. Is the media portraying these characters just to make everyone feel better? If you believe that, you may want to familiarize yourself with well-known media propaganda techniques. The fact is that autism is the fastest-growing developmental disability, with results of the latest shocking government study revealing that 1 in 45 children, ages 3 through 17, are in the autism spectrum. The CDC placed the numbers at 1 in 68 births in 2014, compared with 1 in 150 in the year 2000 (a rise of 119.4 percent). Less publicized, is the fact that in the 1960’s, the number was only 4 in 10,000! At the rate that autism is climbing, how long will it be before every child born is in the autism spectrum? 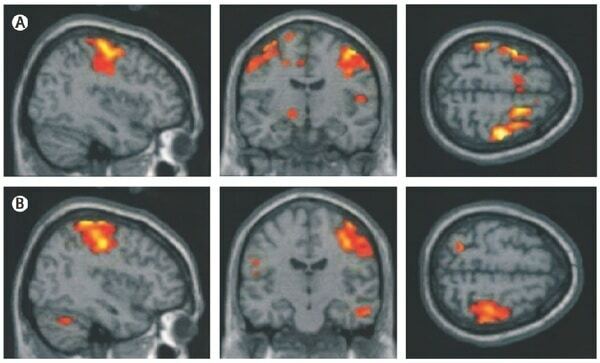 This 2014 article in The Atlantic reveals just what kind of assault our brains are under. We’re finding out about the very significant role vaccines play in autism rates, and while this article doesn’t go into vaccines, the poisons in chemtrails or cell phones and EMF waves, it shows just how inundated our environment is with brain damaging toxins, most of which, we’re assured, are considered to be in “safe amounts” by our friendly FDA and CDC. Forty-one million IQ points. That’s what Dr. David Bellinger determined Americans have collectively forfeited as a result of exposure to lead, mercury, and organophosphate pesticides. In a 2012 paper published by the National Institutes of Health, Bellinger, a professor of neurology at Harvard Medical School, compared intelligence quotients among children whose mothers had been exposed to these neurotoxins while pregnant to those who had not. Bellinger calculates a total loss of 16.9 million IQ points due to exposure to organophosphates, the most common pesticides used in agriculture. Last month, more research brought concerns about chemical exposure and brain health to a heightened pitch. Philippe Grandjean, Bellinger’s Harvard colleague, and Philip Landrigan, dean for global health at Mount Sinai School of Medicine in Manhattan, announced to some controversy in the pages of a prestigious medical journal that a “silent pandemic” of toxins has been damaging the brains of unborn children. The experts named 12 chemicals—substances found in both the environment and everyday items like furniture and clothing—that they believed to be causing not just lower IQs but ADHD and autism spectrum disorder. Pesticides were among the toxins they identified. “So you recommend that pregnant women eat organic produce?” I asked Grandjean, a Danish-born researcher who travels around the world studying delayed effects of chemical exposure on children. For decades, chlorpyrifos, marketed by Dow Chemical beginning in 1965, was the most widely used insect killer in American homes. Then, in 1995, Dow was fined $732,000 by the EPA for concealing more than 200 reports of poisoning related to chlorpyrifos. It paid the fine and, in 2000, withdrew chlorpyrifos from household products. Today, chlorpyrifos is classified as “very highly toxic” to birds and freshwater fish, and “moderately toxic” to mammals, but it is still used widely in agriculture on food and non-food crops, in greenhouses and plant nurseries, on wood products and golf courses. These chemicals aren’t something that anyone would categorically consider safe. They are poison. These chemicals aren’t something that anyone would categorically consider safe. They are poison.Landrigan has the credentials of some superhero vigilante Doctor America: a Harvard-educated pediatrician, a decorated retired captain of the U.S. Naval Reserve, and a leading physician-advocate for children’s health as it relates to the environment. After September 11, he made news when he testified before Congress in disagreement with the EPA’s assessment that asbestos particles stirred into clouds of debris were too small to pose any real threat. Landrigan cited research from mining townships (including Asbestos, Quebec) and argued that even the smallest airborne asbestos fibers could penetrate deeply into a child’s lungs. The chemicals they called out as developmental neurotoxins in 2006 were methylmercury, polychlorinated biphenyls, ethanol, lead, arsenic, and toluene. The additional chemicals they’ve since found to be toxins to the developing brains of fetuses—and I hope you’ll trust me that these all are indeed words—are manganese, fluoride, chlorpyrifos, tetrachloroethylene, polybrominated diphenyl ethers, and dichlorodiphenyltrichloroethane. Thus, non-genetic, environmental exposures are involved in causation, in some cases probably by interacting with genetically inherited predispositions. Strong evidence exists that industrial chemicals widely disseminated in the environment are important contributors to what we have called the global, silent pandemic of neurodevelopmental toxicity. Silent pandemic. When public health experts use that phrase—a relative and subjective one, to be deployed with discretion—they mean for it to echo. When I first saw these headlines, I was skeptical. 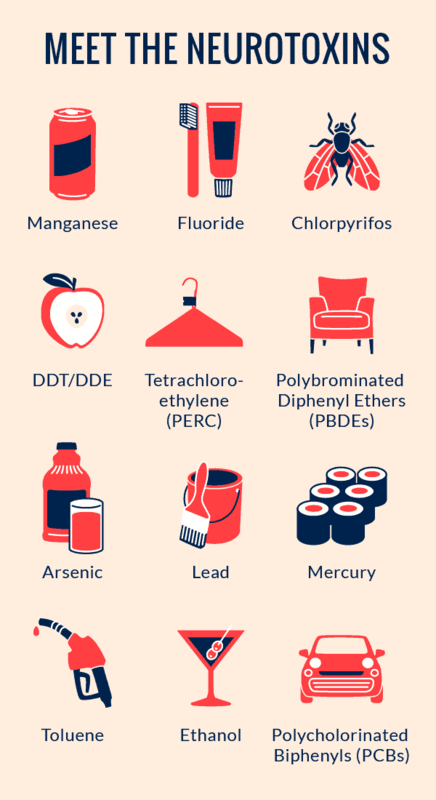 It wasn’t news that many of the chemicals on this list (arsenic, DDT, lead) are toxic. With each of these substances, the question is just how much exposure does it take to cause real damage. For instance, organophosphates aren’t something that anyone would categorically consider safe, in that they are poison. They kill insects by the same mechanism that sarin gas kills people, causing nerves to fire uncontrollably. But like asbestos, they are still legally used in U.S. commerce, with the idea that small amounts of exposure are safe. The adage “the dose makes the poison” may be the most basic premise of toxicology. And hadn’t we already taken care of lead? Didn’t we already know that alcohol is bad for fetuses? Wasn’t fluoride good for teeth? I found that the real issue was not this particular group of 12 chemicals. Most of them are already being heavily restricted. This dozen is meant to illuminate something bigger: a broken system that allows industrial chemicals to be used without any significant testing for safety. The greater concern lies in what we’re exposed to and don’t yet know to be toxic. Federal health officials, prominent academics, and even many leaders in the chemical industry agree that the U.S. chemical safety testing system is in dire need of modernization. Yet parties on various sides cannot agree on the specifics of how to change the system, and two bills to modernize testing requirements are languishing in Congress. 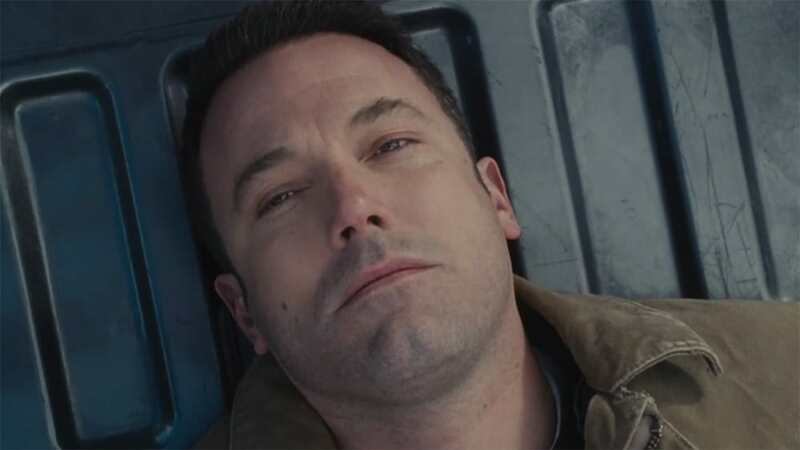 Landrigan and Grandjean’s real message is big, and it involves billion-dollar corporations and Capitol Hill, but it begins and ends with the human brain in its earliest, most vulnerable stages. About a quarter of your body’s metabolism goes toward operating and maintaining your brain. In order to process even basic information, billions of chemical signals are constantly being carried between neurons. The undertaking is so onerous that even though your brain is not moving (like, say, the powerful muscles in your legs), it uses around 10 times more calories per pound than the rest of you. Most of that industrious brain and its 86 billion neurons were created in a matter of months. During the first few weeks of gestation, when your mother knew you only as morning sickness and you were a layer of cells huddled in one corner of her uterus, those cells lined up, formed a groove, and then closed to form a tube. One end of that tube eventually became your tiny spinal cord. The rest expanded to form the beginnings of your brain. For a brain to develop properly, neurons must move to precise places in a precise sequence. They do so under the direction of hormones and chemical neurotransmitters like acetylcholine. The process is an intricate, fast-paced dance on a very tiny scale. Each nerve cell is about one hundredth of a millimeter wide, so it has to travel its own width 25,000 times just to move an inch—which some neurons in the cortex must. At any point, that cell can be knocked off course. Some of the neurotoxins Grandjean and Landrigan discuss have the potential to disrupt this journey, in a slight or serious fashion. By the third trimester, the surface of the brain begins folding itself into wrinkled peaks and valleys, the gyri and sulci that make a brain look like a brain. Specific areas of that cortex learn to process specific aspects of sensation, movement, and thought, and that starts in the uterus. As Grandjean explains this process in his 2013 book Only One Chance, “Usage promotes function and structure, as the connectivity of the brain cells is shaped by responses to environmental stimuli.” That is, the fetal brain starts having experiences that form the basis for learning and memory. The nature-nurture duality begins at conception. Federal health officials are aware of this risk. The National Institutes of Health, as Landrigan puts it, “finally woke up in the late 1990s to the fact that children are much more sensitive and vulnerable to chemicals than adults are.” Over the past decade, the federal government has invested substantially more money in looking at just how pregnant women and children have been affected by industrial chemicals. The EPA has awarded millions of dollars in related research grants, and the NIH started funding a network of what it calls Centers for Children’s Environmental Health and Disease Prevention Research. There is one at Mount Sinai and another at Harvard (the respective homes of Landrigan and Grandjean), and there are others at Columbia, UC Berkeley, and elsewhere. Those centers have established strong research programs called prospective birth-cohort studies. Scientists enroll pregnant female subjects and carefully record objective measures of environmental exposure, using things like blood samples, urine samples, and maybe even dust and air samples from their homes. After the babies are born, the researchers follow up with them at various points in their childhoods. These studies are expensive and take a long time, but they’re incomparably good at connecting prenatal exposures with lost IQ points, shortened attention span, or emergence of ADHD. Functional MRI reveals the effect of prenatal methylmercury exposure in three adolescents. Subjectes were asked to tap the fingers of their left hands. In the control group (row B), only the right side of the brain was activated. In the subjects who had been exposed to methylmercury (row A), an abnormal activation pattern shows that both sides are involved. (The Lancet Neurology)“That’s the big breakthrough,” Landrigan says. “The scientific community has mastered the technique of doing these studies, and they’ve been running long enough that they’re beginning to put out some spectacularly good results.” At Columbia, for instance, the children’s center is investigating whether children exposed in the womb to BPA and polycyclic aromatic hydrocarbons (PAHs)—byproducts from burning fossil fuels—are more likely to develop learning and behavior disorders than children not exposed. They have also shown that high prenatal exposure to air pollutants like PAHs are associated with attention problems, anxiety, and depression at ages 5 to 7 years. It was this center, together with the UC Berkeley and Mount Sinai children’s centers, that first identified the detrimental impact of chlorpyrifos on IQ and brain development. The researchers even used MRI testing to show that these chemicals appear to change children’s brain structure, causing thinning of the cortex. Other children’s centers are looking at the extent to which these and other chemicals—including arsenic from well water, brominated flame retardants, and the anti-corrosion agent manganese—are to blame for a range of possible neurologic disorders. Impressive as all this research investment is, the larger question remains: Why are we looking at these hazards now—instead of before we introduced these chemicals into the world? The problem with toxic substances is that their effects can be insidious. Take the example of lead—a chemical that lingered in gasoline, house paints, and children’s toys for decades before scientists realized the true extent of the damage. Did Michelangelo Suffer From Lead Poisoning? Several years ago, a four-year-old boy in Oregon began complaining of stomach pain and vomiting. Doctors reassured his parents that it was likely a viral illness, but his symptoms worsened, and he became completely unable to eat. He also had a badly swollen cheek. The doctors determined that the boy had bitten himself, so severely that it must have been during a seizure. 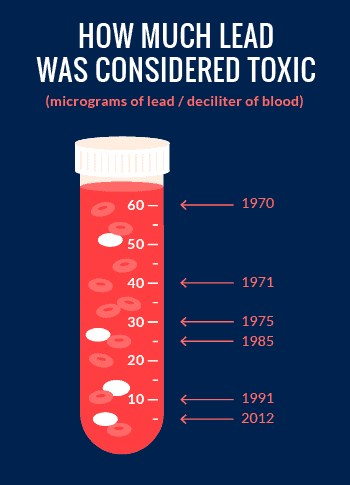 Blood tests showed that he was anemic, and subsequent tests found that he had extremely high levels of lead (123 micrograms per deciliter of blood). The doctors began treating the boy with medication to help clear the lead. They also set out to find out where the lead was coming from. An investigation of the boy’s home, which was built in the 1990s, found no lead paint. Despite treatment, though, the boy’s lead tests remained abnormally high. So the doctors did an x-ray. Inside the boy’s stomach was a one-inch metal medallion, which appeared bright white on the x-ray image. His parents recognized it as a toy necklace they had purchased from a vending machine approximately three weeks earlier. The state environmental quality lab later found that the medallion contained 38.8 percent lead. The manufacturer later did a voluntary recall of 1.4 million of the metal toy necklaces. By that time, manufacturers had been using the toxic substance for centuries, despite clearly dangerous effects. In 1786, Benjamin Franklin wrote to a friend about the first time he heard of lead poisoning. When he was a boy, he recounted, there had been “a complaint from North Carolina against New England Rum, that it poisoned their people, giving them the dry bellyache, with a loss of the use of their limbs. The distilleries being examined on the occasion, it was found that several of them used leaden still-heads and worms, and the physicians were of the opinion that the mischief was occasioned by that use of lead.” Franklin went on to describe his observations of similar symptoms in patients at a Paris hospital. 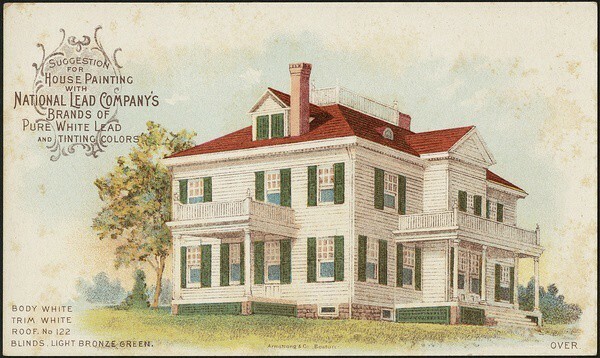 When he inquired about their occupations, he discovered that these men were plumbers, glaziers, and painters. In 1921, General Motors began adding tetraethyl lead to gasoline. Lead gave gasoline a higher octane rating, which meant it could handle more compression without combusting. In practical terms, that meant more powerful engines, faster warplanes, and better industrial transport. The Ethyl Corporation that produced leaded gasoline was a joint venture between GM, Standard Oil, and DuPont. One of its executives, Frank Howard, called leaded gasoline “an apparent gift of God,” even as the plant where tetraethyl lead was synthesized became known as “the Houses of Butterflies,” because it was not uncommon for workers to experience hallucinations of insects on their skin. 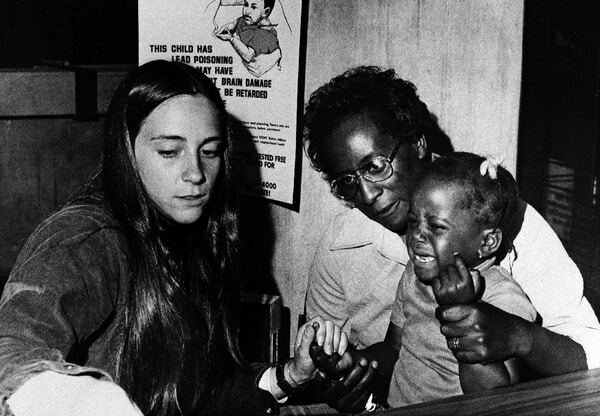 By the mid 1970s, the average U.S. preschool child had 15 micrograms of lead per deciliter of blood. Eighty-eight percent of children had a level exceeding 10 µg/dL—which is twice what the CDC currently considers toxic. Among poor black children, the average level was markedly higher: 23 µg/dL. Finally in 1975, the EPA required a gradual phasing of lead out of gasoline. Two years later, the Consumer Product Safety Commission said that residential paint could contain no more than 0.06 percent lead. Meanwhile there is still disagreement as to what constitutes a safe level of lead exposure—and if there even is such a thing. As more and more evidence came out over the years showing that low levels are in fact toxic to developing brains, the CDC incrementally lowered that threshold—from 60 micrograms per deciliter of blood in 1970 to 40 in 1971, 30 in 1975, 25 in 1985, 10 in 1991, and finally to just five in 2012. It’s surprising to learn how little evidence there is for the safety of chemicals all around us, in our walls and furniture, in our water and air. Many consumers assume there is a rigorous testing process before a new chemical is allowed to be a part of a consumer product. Or at least some process. “We still don’t have any kind of decent law on the books that requires that chemicals be tested for safety before they come to market,” Landrigan said. “It’s just an obsolete, toothless, broken piece of legislation,” said Landrigan. “For example, in the early 1990s, EPA was unable to ban asbestos under TSCA.” This was after the National Toxicology Program had classified asbestos as a known cancer-causing agent, and the World Health Organization had called for a global ban. The EPA did briefly succeed in banning asbestos in the U.S. in 1989, but a court of appeals overturned the ban in 1991. Asbestos is still used in consumer products in the U.S., including building materials like shingles and pipe wrap, and auto parts like brake pads. Landrigan also calls it “a particularly egregious lapse” that when TSCA was enacted, the 62,000 chemicals already on the market were grandfathered in, such that no toxicity testing was required of them. These chemicals were, as Landrigan puts it, “simply presumed safe” and allowed to remain in commerce until a substantial health concern came to public attention. In the nearly 40 years since the law’s passage, more than 20,000 new chemicals have entered the market. “Only five have been removed,” Landrigan says. He notes that the CDC has picked up measurable levels of hundreds of these chemicals in the blood and urine of “virtually all Americans.” Yet, unlike food and drugs, they enter commerce largely untested. Landrigan and Grandjean’s purpose in declaring a silent pandemic was less about the 12 named substances and more about using them as cautionary tales. They named in their list a few chemicals that still appear be imminent threats, but they also include some that have been highly restricted in their use for a long time. And at least one of them, fluoride, has proven beneficial in small doses. “Fluoride is very much a two-edged sword,” Landrigan said. “There’s no question that, at low doses, it’s beneficial.” Flouride has been shown to prevent dental cavities and aid skeletal growth. At higher levels, though, it causes tooth and bone lesions. The epidemiologic studies cited by Grandjean and Landrigan, which came from China, imply that high fluoride exposure has negative effects on brain growth.“Are the exposure levels in China comparable to what we have in our drinking water and toothpaste?” I asked.“No, they’re probably higher,” Landrigan said. “In some places in China, there are naturally high levels of fluoride in the groundwater, which picks it up because it’s water-soluble.”“So your advice isn’t to take it out of our toothpaste?”“Not at all,” Landrigan said. “I think it’s very good to have in toothpaste.”He’s more concerned about flame-retardants—a group of compounds known as polybrominated diphenyl ethers (PBDEs). These chemicals came into vogue after their predecessors, called PCBs (polychlorinated biphenyl ethers), were banned in 1979. By the time it became clear that PCBs caused cancer—and a variety of other adverse health effects on the immune, reproductive, nervous, and endocrine systems—they’d been put into hundreds of industrial and commercial uses like plastics and rubber products. So manufacturers switched to PBDEs and advertised PCB-free products, assuming—or, at least, implying—that PBDEs wouldn’t cause problems of their own.“California, at the urging of the chemical industry several years ago, put the highest standard in the world on the levels of PBDEs that needed to be included in them,” Landrigan explained. “The result is that people in California have the highest levels of brominated flame retardants in their bodies.”The state finally banned PDBEs in 2006, after studies from Columbia showed high quantities of the compound in women’s breast milk and linked it to IQ losses and shortening of attention span. Between 2008 and 2012, PDBE levels in the blood of California residents decreased by two-thirds.Landrigan and Grandjean argue that stronger chemical safety legislation could have made all of this backpedaling damage control unnecessary. They don’t expect every chemical to go through long-term, randomized control studies prior to its release. Rather, they want to see industrial chemicals screened through a simple cell-based test. If that test were to come out positive—if the cells in the petri dish showed any kind of toxic reaction—then the chemical would be tested further. When I heard that this Tox21 program is teaching a very large yellow robot to do large-scale rapid chemical testing, I had to learn more. Dr. Linda Birnbaum is the director of the National Institute of Environmental Health Sciences and the National Toxicology Program in North Carolina’s Research Triangle. Birnbaum oversees federal funding for research to discover how the environment influences health and disease, including Tox21. “If you want to do the full battery of current tests that we have on a chemical, you’re looking at least five years and about $5 million,” Birnbaum told me. “We’re not going to be able to do that on large numbers of chemicals.” The robot is being trained to scan thousands of chemicals at a time and recognize threats inexpensively and quickly—before people get sick. It’s also using alternative testing models—looking at not just isolated cells, but also simple organisms like the roundworm C. elegans or zebrafish—to answer certain basic questions. The Tox21 robot screening system at the NIH Chemical Genomics Center in Rockville, Maryland is part of a program that is refining a process to test industrial chemicals for safety quickly and efficiently. It places chemicals on plates with more than 1,500 wells that contain different types of human or rodent cells. (NIH)The program is also looking at how a single chemical might affect a wide range of people. “We’re looking at 1,000 different human genomes from nine different ethnic groups on five continents,” Birnbaum told me. Like Landrigan, Birnbaum raised the specter of the tens of thousands of chemicals grandfathered in 1976 that underwent no testing, as well as the commonly cited data that less than 20 percent of the 80,000 chemicals in commerce have had any testing at all. She spoke wistfully of the European Union’s chemical testing protocol, a model Grandjean had told me was “very reasonable.” It’s called REACH (Registration, Evaluation, Authorization, and Restriction of Chemicals), and it involves a tiered approach to regulation: If a compound is produced in small amounts, only some cursory information is required. If greater amounts are produced or imported, the EU requires more in-depth testing, such as animal experiments and two-generation studies. Plunkett has a Ph.D. in pharmacology and toxicology. Reviewing articles written in the wake of the publicity around The Lancet Neurology paper, I was struck by the definitive title of her blog post on a site called Science 20: “There Is No Pandemic of Chemicals Causing Brain Disorders in Children.” Plunkett has been a diplomate of the American Board of Toxicology since 1984. She taught for a while and did research at NIH, but she is now an independent consultant running her own company, Integrative Biostrategies. 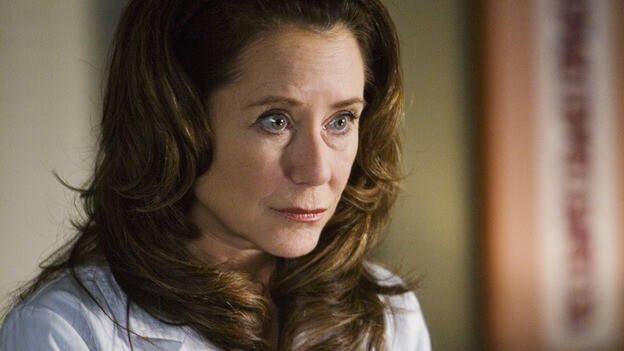 One of her clients is the American Chemistry Council. She also has clients in the food, pesticide, and chemical business—“industry ties,” as they say. With that in mind, I sought her out as an established scientist who has worked on the side of the chemical-producing companies. Her blog post about the Lancet article was the only response I found telling people not to panic. What about the chemical that most concerned Landrigan, the pesticide chlorpyrifos? Pesticides are indeed more regulated than other industrial chemicals. Before manufacturers can sell pesticides in the U.S., the EPA must ensure that they meet federal standards to protect human health and the environment. Only then will the EPA grant a “registration” or license that permits a pesticide’s distribution, sale, and use. The EPA also sets maximum levels for the residue that remains in or on foods once they’re sold. An EPA spokesperson told me that a company introducing a new pesticide must “demonstrate more than 100 different scientific studies and tests from applicants.” The EPA also said that since 1996’s Food Quality Protection Act, it has added “an additional safety factor to account for developmental risks and incomplete data when considering a pesticide’s effect on infants and children, and any special sensitivity and exposure to pesticide chemicals that infants and children may have.” Landrigan and Grandjean don’t believe that’s always sufficient; the dose may make the poison, but not everyone believes the EPA’s limits are right for everyone. Everyone I spoke to for this story agreed that TSCA needs to be fixed. But every attempt has met with bitter opposition. All parties want it to happen; they just want it to happen on their own terms. Unless it does, they don’t want it to happen at all. Last May, a bipartisan group of 22 senators, led by Frank Lautenberg and David Vitter, introducing the Chemical Safety Improvement Act of 2013. Lautenberg, then 89 years old, was the last surviving World War II veteran in the Senate and a longtime champion of environmental safety. (Among other things, he wrote the bill that banned smoking on commercial airlines.) A month after he introduced his TSCA reform bill, Lautenberg died of pneumonia. In February, with Lautenberg’s bill stalled in the Senate committee, Republican Representative John Shimkus seized the opportunity to introduce another reform option called the Chemicals in Commerce Act. The chemical industry applauded Shimkus’ bill—it won support from the American Chemistry Council, American Cleaning Institute, and the Society of Chemical Manufacturers and Affiliates. Earlier this month at the GlobalChem conference in Baltimore, Dow Chemical’s Director of Products Sustainability and Compliance Connie Deford said that TCSA reform was in the interests of the chemical sector, acknowledging that consumer confidence in the industry is at an all-time low. I asked the EPA to comment on Landrigan and Grandjean’s claim that we are in the midst of a “silent pandemic” and inquired what, if anything, is being done about it. The agency responded by sending me a statement: “EPA has taken action on a number of the chemicals highlighted in this report which have and are resulting in reduced exposures, better understanding, and more informed decisions.” The agency included a list of the actions it has already taken to reduce exposure to the chemicals identified in the report. (See sidebar.) And it emphasized a 2012 “Work Plan,” which includes plans to assess more than 80 industrial chemicals in the coming years. Meanwhile, researchers like David Bellinger, who calculated IQ losses, are highlighting the financial cost to society of widespread cognitive decline. 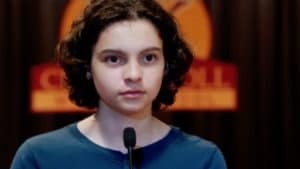 Economist Elise Gould has calculated that a loss of one IQ point corresponds to a loss of $17,815 in lifetime earnings. Based on that figure, she estimates that for the population that was six years old or younger in 2006, lead exposure will result in a total income loss of between $165 and $233 billion. The combined current levels of pesticides, mercury, and lead cause IQ losses amounting to around $120 billion annually—or about three percent of the annual budget of the U.S. government. Low-income families are hit the hardest. No parent can avoid these toxins—they’re in our couches and in our air. They can’t be sweated out through hot yoga classes or cleansed with a juice fast. But to whatever extent these things can be avoided without better regulations, it costs money. Low-income parents might not have access to organic produce or be able to guarantee their children a low-lead household. When it comes to brain development, this puts low-income kids at even greater disadvantages—in their education, in their earnings, in their lifelong health and well-being.